EzCheckPersonal check writer is very flexible and allow customers to print personlized checks on blank stock to save time and money. Customers can add extra labels and lines to check easily. Following is the step by step guide. 2. Click the top menu “Settings->Check Layout Setup” to open the check layout screen. 3. You can customize almost any item on this screen. However, you need to select the target field from Item Picker list first. - 1) You can select “Custom Text 0” from Item picker. Then you will see this field in red color on screen. - 4) Then you can change its position in two ways. -- You can select this field on screen by your mouse, then drag and drop it to the new location. - You can adjust values of Item Location fields to move it. 4. Save your changes by clicking the SAVE button. EzCheckPersonal software is easy to use check writer for family users. It can fill out the data only on pre-printed blank checks. It also allows users to print personalized checks on blank check paper with logo and signature. Step 2: Setup your bank account to use pre-printed blank checks. Click the top menu "Settings->Edit Current Account" to open the check setup page. And uncheck the option “Use blank Check Stock” to use the pre-printed checks. Then ezCheckPersonal will not print your bank information on checks. Go back to the main page. Click the New button to add a check. Select this check from the check list and click the Print button to print your check. Select the check(s) from check list and click the PRINT button (see image in step 3). Select your target printer and you will see the pre-preview screen. Since you already chosen to use the pre-printed check, EzCheckPersonal will print the data only on checks. If you are satisfied at your checks, click the PRINTER icon to print the checks. EzCheckPersonal is easy-to-use, flexible and affordable check design, write and print software for family users. It can print personal pocket-size checks in 3-per-sheet and 4-per-sheet formats. It can print checks on blank check stock with logo and write check data on pre-printed blank check. With ezCheckpersonal, users never need to order the expensive pre-printed check for Quicken. User can download and try ezCheckPersonal for free with no cost and no obligation. What Are The Benefits Of Using Personal Checks? With debit cards and credit cards becoming the most popular mode of payment, are people forgetting the concept of paying by checks? The truth is that there are a number of advantages of using personal checks for making your payments. For people who thought that the use of checks is becoming obsolete, here is some news. As per the information revealed by the Federal Trade Commission, there are more than thirty three billion checks written each year. This is a far cry from becoming obsolete! Are you wondering why people are still using checks? Well, there are a number of advantages of using personal checks for your transactions. First of all, using checks will help you stay within your spending limits. Unlike credit and debit cards where the chances of overshooting the funds available are high, checks ensure you stick to your budget. Writing out a check will make you see the truth about the frivolous lifestyle you are leading and help you stay out of debts. Personal checks come with check registers or duplicate checks, both of which can be used to track the payments that you have been making. Hence, unlike in the case of debit and credit cards, you will not have to wait for your monthly statements to see how you have been spending your money. Just imagine your landlord asking you for rent. Or, your friend asking you to return the money you borrowed. You surely cannot use the debit or credit card in your wallet to make these payments! You will have to fall back on personal checks or cheap checks to repay the dues to them. Similarly, you would have to write out checks for the babysitter you hired, or to send a gift to your dear grand daughter who just turned 8! None of the cards can come to your help in such situations. Finally, your check can be as unique as you. With the concept of personalizing personal checks or cheap checks online coming into play, you can design them to look the way you want. This adds some personality to the checks and reveals your personality. Want to create a holiday style check with Snowman or Christmas tree on it? Followings are the step by step guide on how to print your bank checks from your home printer in minutes at possible $0 cost. 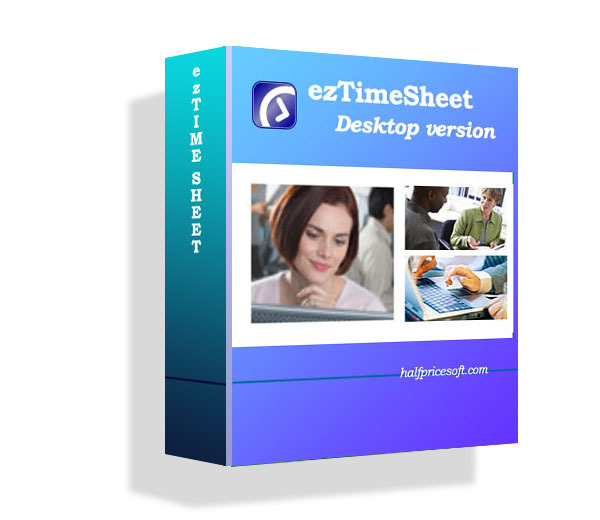 EzCheckPersonal, check writing and printing software from halfpricesoft.com, is useful not only because it saves user time and money, but also offers a way to keep stricter accounting. ezCheckPersonal also offers a level of customization and allow user to allow their favorite logo to their checks. For this holiday season, consumers do not need to order the expensive checks with the snowman or Christmas tree. They can print such customized checks easily and legally from their home laser printer. And the total cost can even be $0. With ezCheckPersonal, customers can easily design and print any style bank checks they want. They can change the font, add a logo, add a new label and even put the picture of their pets there. Now the bank checks can be as entertaining or subtle as they wish. "Simple, easy and fast. That's what computer software should be," said Halfpricesoft.com founder Dr. Ge. "You shouldn't need a programming degree or accounting background to use personal finance or check writing software. That's why we made ezCheckPersonal so simple and easy to use”. All software from Halfpricesoft.com, including ezCheckPersonal, is designed to be incredibly easy to use. Customers can begin printing checks within minutes of downloading and installing the software. 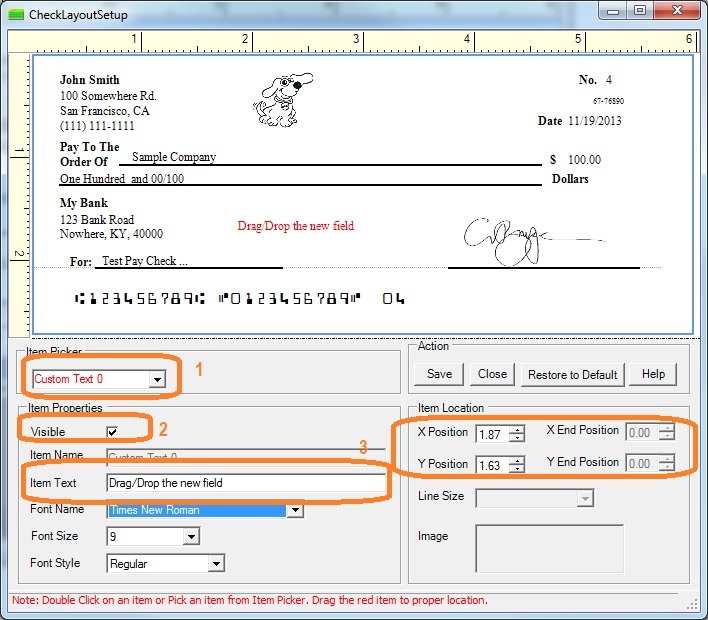 The intuitive graphical interface leads users step by step through the check writing and printing process. Customers can try ezCheckPersonal for free, and even get the full license for free. The regular price for ezCheckpersonal check printing software is just $24. However, user can get this check printing software for FREE if they check out through TrialPay. User can even get the compatible blank check paper for free through TrialPay offer too. Or watch the video "Free Personal Laser Check Printing Software"
With ezCheckpersonal, users can create funny Halloween banks easly. 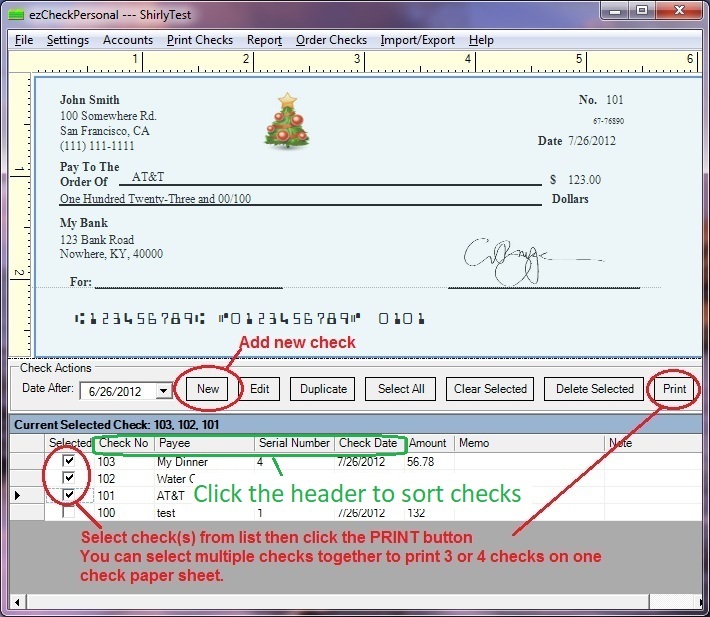 With ezCheckPersonal, the check design and printing software from halfpricesoft.com, customers can easily design and print any style bank checks they want. They can change the font, add a logo, add a new label and even put the picture of their pets there. Now the bank checks can be as entertaining or subtle as they wish. User can get ezCheckPersonal for free through TrialPay offer. We released the new video on youtube site.